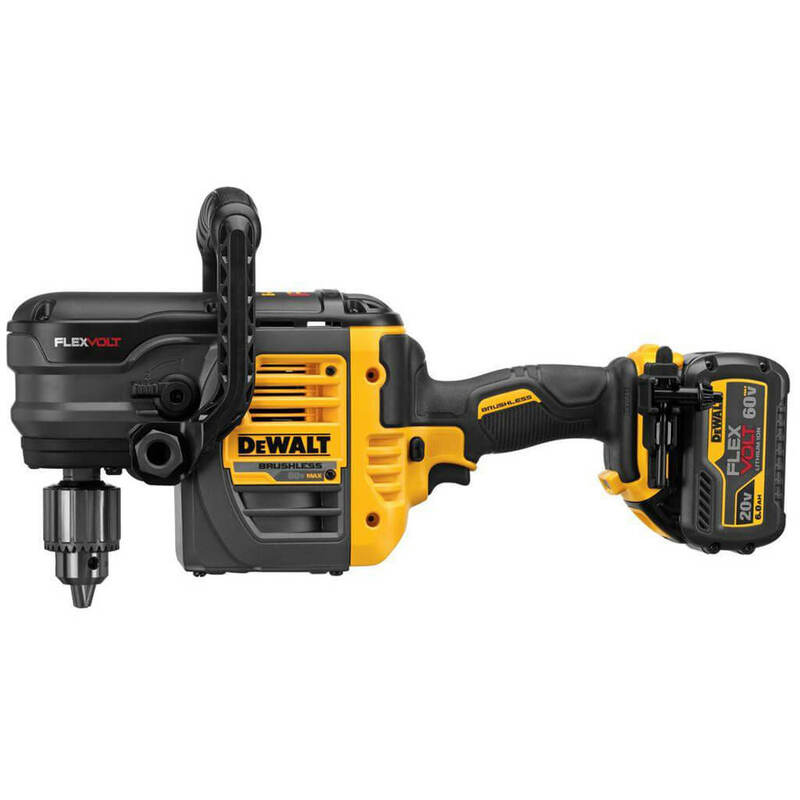 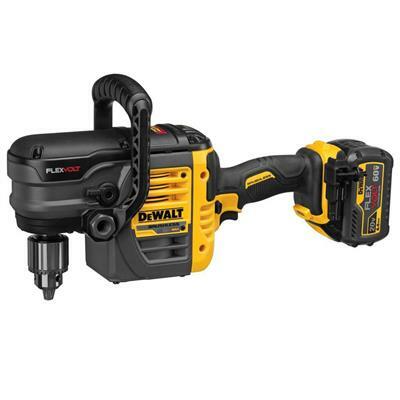 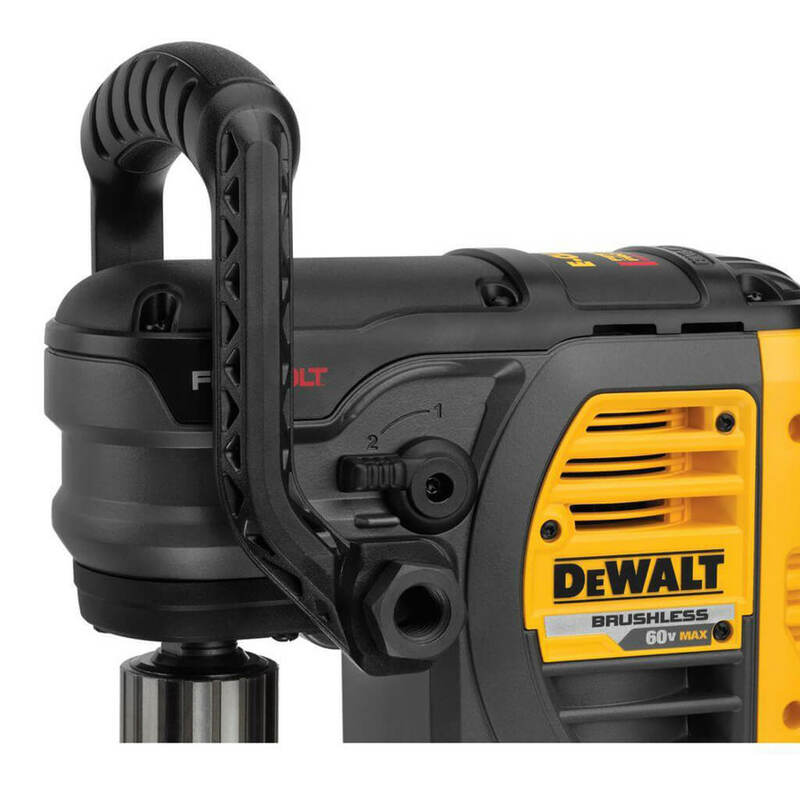 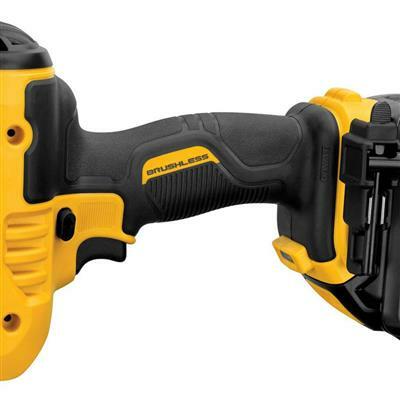 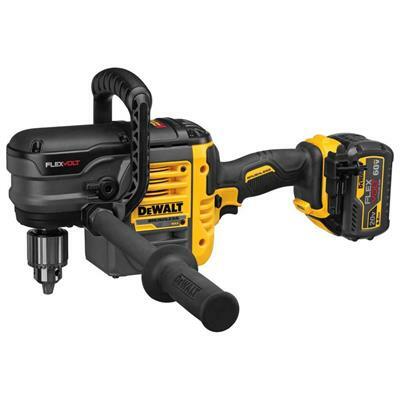 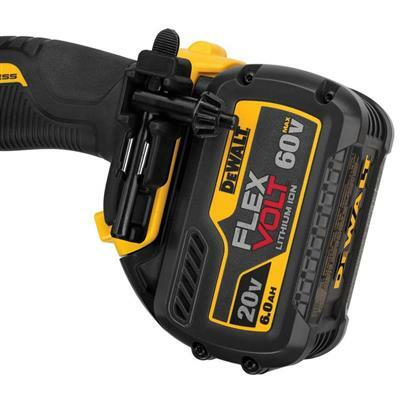 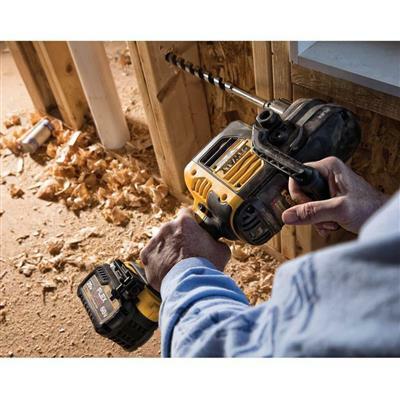 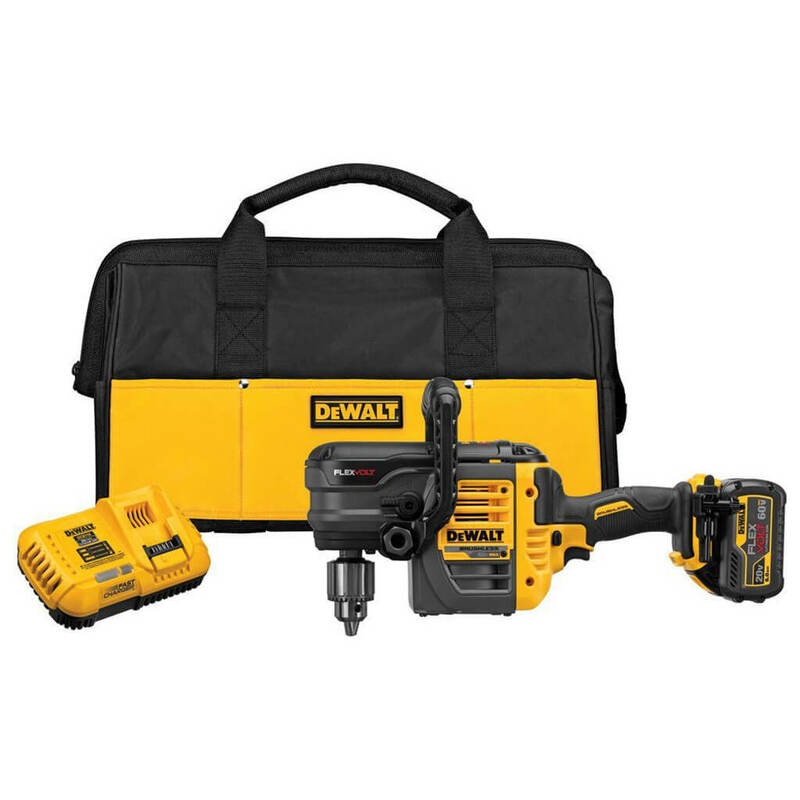 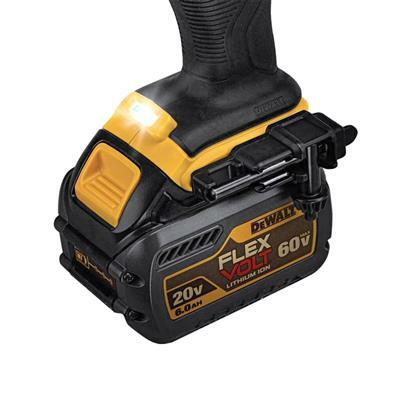 The DEWALT 60-Volt Max VSR Stud and Joist Drill with E-Clutch System features a 1/2 in. 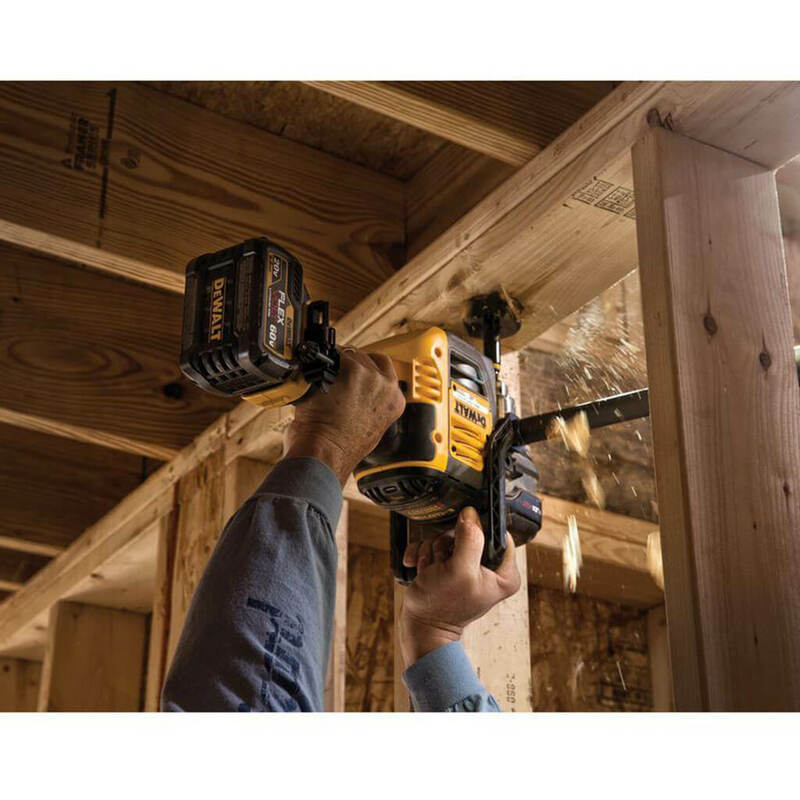 chuck and brushless motor that provides corded power in a cordless solution. Ideal for plumbers, electricians and HVAC installers who need to drill large diameter holes in wood. 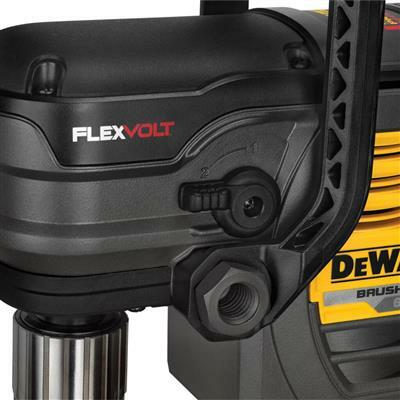 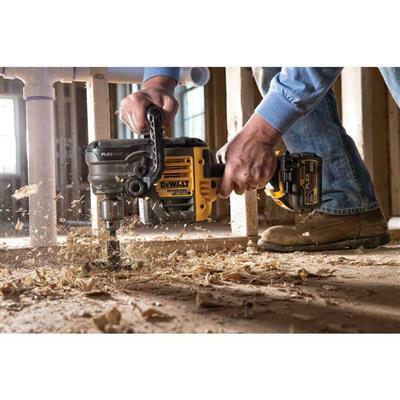 This drill provides exceptional power, control, durability, and runtime with its 60-Volt brushless motor, mechanical and electrical clutches, and 2 variable-speed ranges. 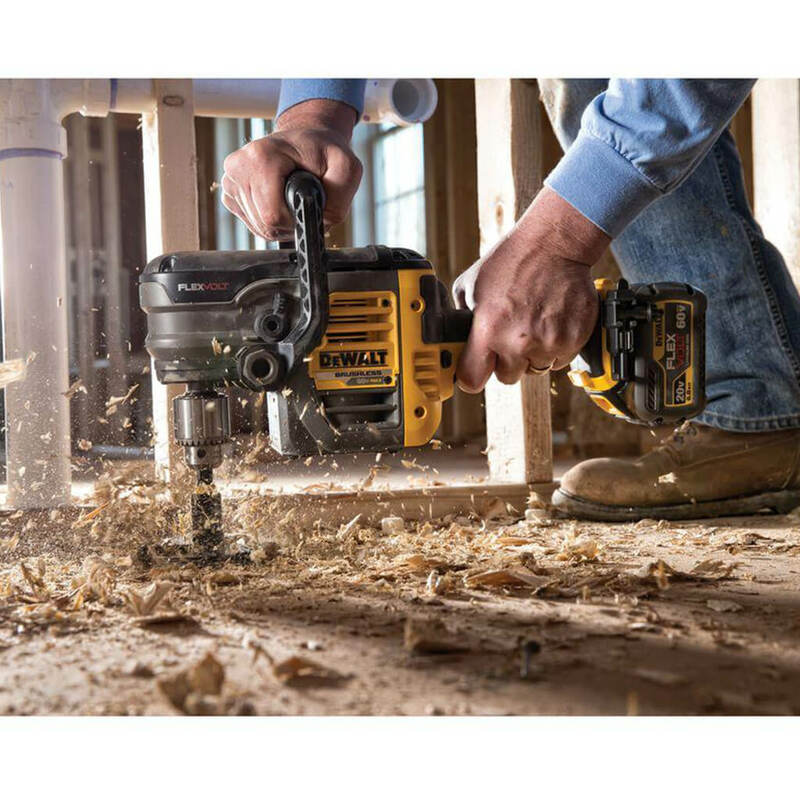 Equipped with the innovative bind-up control feature called E-Clutch System this drill increasing user control in bind-up/stall situations by sensing a stall during use and managing torque accordingly.